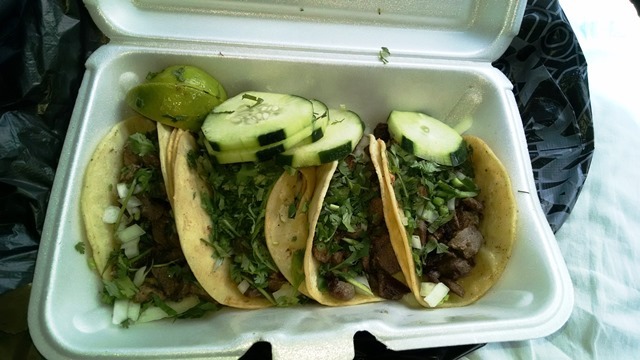 If you have read these pages, for any length of time, you know how much we enjoy finding the perfect tacos de carne asada, while on the road. 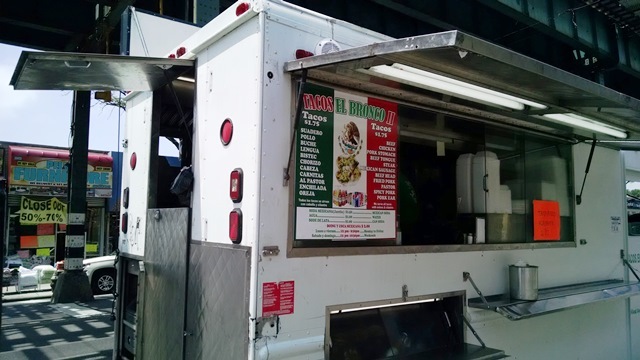 Let me state a fact we all know, no matter our efforts, what we create at home will never match the taste, of what we buy, from a food truck; however, there are somethings, which can come close, especially when that burrito you are craving is in Los Angeles and you are in Maine or Florida. As with all dishes, the final result is impacted by the quality of the ingredients. The best carne asada is produced with the finest cut of meat, tenderloin, however, a well-trimmed sirloin steak, sliced very thinly and on the grain will do the trick. I assure you, when you are buying tacos from a road side vendor; he is not using the finest, but rather the most affordable cuts of beef. Thus, how the meat is prepared and served matters. If like us, you are firing up the grill this weekend, you may want to add this recipe to your menu. After you have sliced the meat, season it well, according to your taste, and let it marinate for up to 24 hours, in the refrigerator. Make sure, as with all meat, that you removed it from the cold, and let it come up to room temperature, before placing it on the grill. This is not meat that needs to cook long, but the charcoals should be very hot before you add the meat, while the meat is cooking, have a thick, clean dish towel nearby, and begin to heat the tortillas through – not barely warmed in a microwave or steamed, but heated to the point that they bare a few char lines. After the tortilla heats, place it inside the clean dishtowel to stay warm. To assemble the tacos, take a hot tortilla, put a generous portion of meat, and then add a heaping tablespoon of cilantro, onions, and lime juice. Most people can easily eat three of these tacos as they are small, but plan for twice that many for your hardy eaters. You can also serve the typically accompaniments of beans and rice, with additional salads and sauces, if you so like. ¡Buen provecho! This entry was posted on May 25, 2018 at 12:01 am and is filed under Food, SlideShow. You can follow any responses to this entry through the RSS 2.0 feed.